My UM student Nancy Cermeño, who is from Nicaragua, has sent me the photo below. 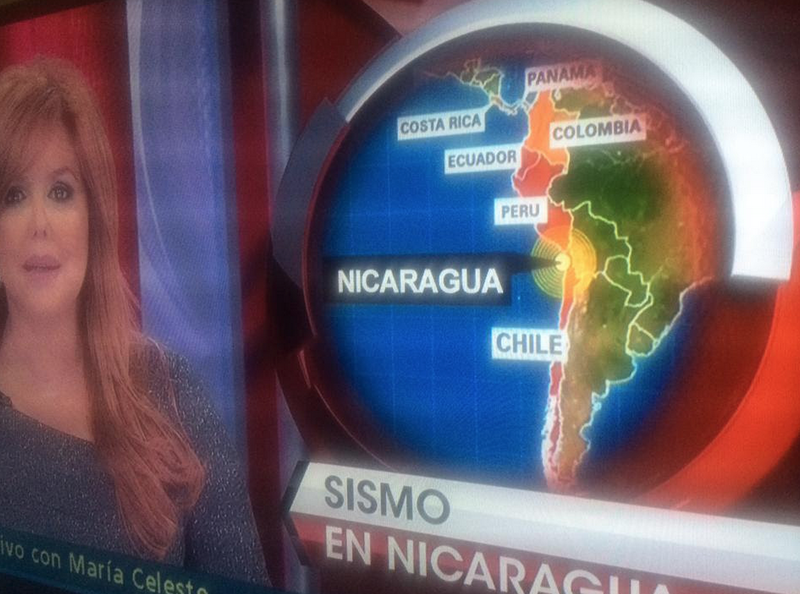 It seems that Telemundo's journalists and artists could use some Geography classes. Or a good editor.